This listing is for a pretty gold filled Y or lariat style "long and short" cable chain necklace. 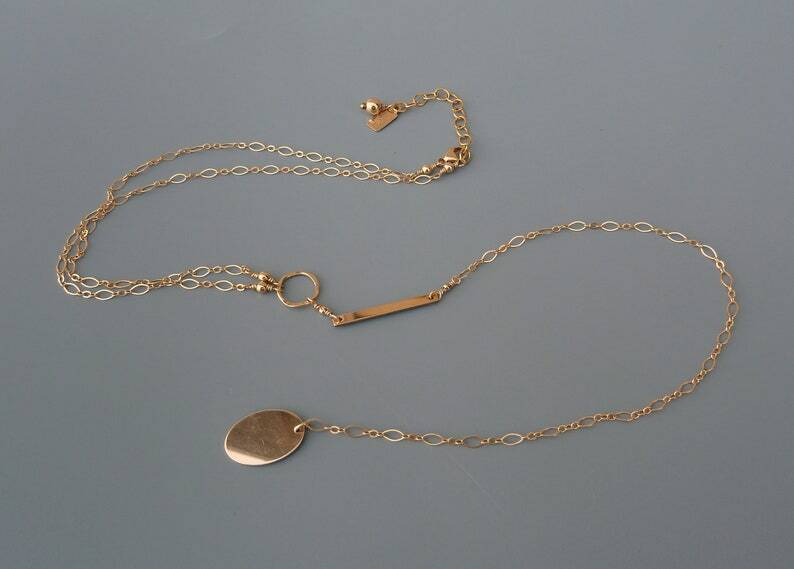 The chain is a choker length around the neck but features a gold filled circle connector with a gold filled bar connector that ends in an oval gold filled pendant that is suspended from the dainty chain. Note: Shipping costs are via Insured USPS first class mail. If you would prefer Priority mail, please convo me before you make your purchase so that I can apply the appropriate shipping charges to the listing before you make your purchase.